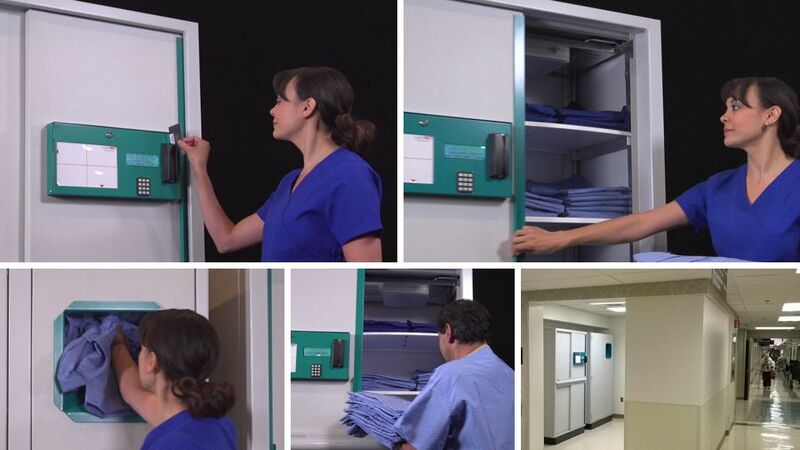 CabiNet™ is the intelligent alternative to vended scrubs or open carts. CabiNet works with RFID chips fitted to each scrub item by your laundry. Each unit stores around 300 scrub pieces fitted with RFID chips in a compact 4ft x 2ft footprint (1200 wide x 600 deep). All transactions are recorded and the entire system is managed by DRESSCODE™ which displays stocks in real time and issues automated alerts if levels fall. To find out which laundries are already working with CabiNet™, contact us. If you supply scrubs to hospitals, losses – and who is responsible - will be a common topic in your conversations. Improve the dialog by offering CabiNet – the affordable way of making users accountable for what they take. Go to our Strategic Partners page for further details. "CabiNet™ answers the demand for an affordable scrub dispenser and allows us to better serve our clients with and intelligent solution uing RFID"
"Users appreciate the flexibility CabiNet™provides, but know they have to return whatever they have taken — not any scrub but the one they took"